Discover the wildly rugged islands of Haida Gwaii with Dennis Horwood’s Haida Gwaii: A Guide to BC’s Islands of the People. Formerly known as Canada’s Charlotte Islands, Haida Gwaii is an isolated collection of about 150 islands and is teeming with natural beauty from the broad sand beaches to the sandstone cliffs to the temperate rainforests. Horwood poetically describes the islands as a stylized Olympic torch with the largest, Graham Island, as the the flame and smaller islands as jewels decorating the handle of the torch. The book is filled with information on activities in each region, museums and cultural centers, highlights of the islands’ Indigenous history, as well as practical information on directions, lodging, and even a recipe using local ingredients (Creamy Campfire Chowder – yum!). 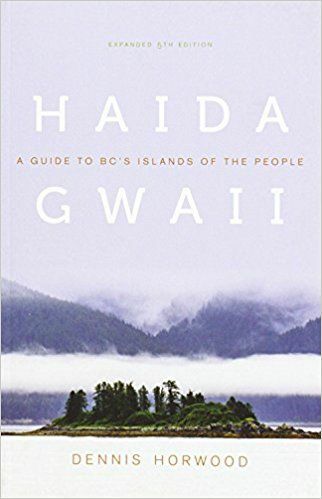 For a comprehensive guidebook to one of National Geographic’s 20 Best Trips, check out Haida Gwaii: A Guide to BC’s Islands of the People.